In Japanese, nouns and stems of adjectives and verbs are almost all written in Chinese characters called Kanji. Adverbs are also fairly frequently written in Kanji as well. This means that you will need to learn Chinese characters to be able to read most of the words in the language. (Children’s books or any other material where the audience is not expected to know a lot of Kanji is an exception to this.) Not all words are always written in Kanji however. For example, while the verb “to do” technically has a Kanji associated with it, it is always written in Hiragana. This guide begins using Kanji from the beginning to help you read “real” Japanese as quickly as possible. Therefore, we will go over some properties of Kanji and discuss some strategies of learning it quickly and efficiently. Mastering Kanji is not easy but it is by no means impossible. The biggest part of the battle is mastering the skills of learning Kanji and time. In short, memorizing Kanji past short-term memory must be done with a great deal of study and, most importantly, for a long time. And by this, I don’t mean studying five hours a day but rather reviewing how to write a Kanji once every several months until you are sure you have it down for good. This is another reason why this guide starts using Kanji right away. There is no reason to dump the huge job of learning Kanji at the advanced level. By studying Kanji along with new vocabulary from the beginning, the immense job of learning Kanji is divided into small manageable chunks and the extra time helps settle learned Kanji into permanent memory. In addition, this will help you learn new vocabulary, which will often have combinations of Kanji you already know. If you start learning Kanji later, this benefit will be wasted or reduced. All the resources you need to begin learning Kanji are on the web for free. You can use dictionaries online such as Jim Breen’s WWWJDIC or jisho.org. They both have great Kanji dictionaries and stroke order diagrams for most Kanji. Especially for those who are just starting to learn, you will want to repeatedly write out each Kanji to memorize the stroke order. Another important skill is learning how to balance the character so that certain parts are not too big or small. So make sure to copy the characters as close to the original as possible. Eventually, you will naturally develop a sense of the stroke order for certain types of characters allowing you to bypass the drilling stage. All the Kanji used in this guide can be easily looked up by copying and pasting to an online dictionary. Almost every character has two different readings called 音読み （おんよみ） and 訓読み（くんよみ）. 音読み is the original Chinese reading while 訓読み is the Japanese reading. Kanji that appear in a compound or 熟語 is usually read with 音読み while one Kanji by itself is usually read with 訓読み. For example, 「力」（ちから） is read with the 訓読み while the same character in a compound word such as 「能力」 is read with the 音読み （which is 「りょく」 in this case）. Certain characters (especially the most common ones) can have more than one 音読み or 訓読み. For example, in the word 「怪力」, 「力」 is read here as 「りき」 and not 「りょく」. Certain compound words also have special readings that have nothing to do with the readings of the individual characters. These readings must be individually memorized. Thankfully, these readings are few and far in between. 訓読み is also used in adjectives and verbs in addition to the stand-alone characters. These words often have a string of kana (called okurigana) that come attached to the word. This is so that the reading of the Chinese character stays the same even when the word is conjugated to different forms. For example, the past form of the verb 「食べる」 is 「食べた」. Even though the verb has changed, the reading for 「食」 remain untouched. (Imagine how difficult things could get if readings for Kanji changed with conjugation or even worse, if the Kanji itself changed.) Okurigana also serves to distinguish between intransitive and transitive verbs (more on this later). Another concept that is difficult to grasp at first is that the actual readings of Kanji can change slightly in a compound word to make the word easier to say. The more common transformations include the / h / sounds changing to either / b / or / p / sounds or 「つ」 becoming 「っ」. Examples include: 「一本」、「徹底」、and 「格好」. Yet another fun aspect of Kanji you’ll run into are words that practically mean the same thing and use the same reading but have different Kanji to make just a slight difference in meaning. For example 「聞く」（きく） means to listen and so does 「聴く」（きく）. The only difference is that 「聴く」 means to pay more attention to what you’re listening to. For example, listening to music almost always prefers 「聴く」 over 「聞く」. 「聞く」 can also mean ‘to ask’, as well as, “to hear” but 「訊く」（きく） can only mean “to ask”. Yet another example is the common practice of writing 「見る」 as 「観る」 when it applies to watching a show such as a movie. Yet another interesting example is 「書く」（かく） which means “to write” while 描く （かく） means “to draw”. However, when you’re depicting an abstract image such as a scene in a book, the reading of the same word 「描く」 becomes 「えがく」. There’s also the case where the meaning and Kanji stays the same but can have multiple readings such as 「今日」 which can be either 「きょう」、「こんじつ」, or 「こんにち」. In this case, it doesn’t really matter which reading you choose except that some are preferred over others in certain situations. Finally, there is one special character 々 that is really not a character. It simply indicates that the previous character is repeated. For example, 「時時」、「様様」、「色色」、「一一」 can and usually are written as 「時々」、「様々」、「色々」、「一々」. In addition to these “features” of Kanji, you will see a whole slew of delightful perks and surprises Kanji has for you as you advance in Japanese. You can decide for yourself if that statement is sarcasm or not. However, don’t be scared into thinking that Japanese is incredibly hard. Most of the words in the language usually only have one Kanji associated with it and a majority of Kanji do not have more than two types of readings. Some people may think that the system of using separate, discrete symbols instead of a sensible alphabet is overly complicated. In fact, it might not have been a good idea to adopt Chinese into Japanese since both languages are fundamentally different in many ways. 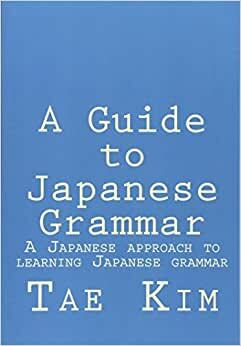 But the purpose of this guide is not to debate how the language should work but to explain why you must learn Kanji in order to learn Japanese. And by this, I mean more than just saying, “That’s how it’s done so get over it!”. With Kanji, we don’t have to worry about spaces and much of the problem of homophones is mostly resolved. Without Kanji, even if spaces were to be added, the ambiguities and lack of visual cues would make Japanese text much more difficult to read.